Hi, thanks for visiting my 2019 goals page. Every year I set a list of goals I want to accomplish. I share my list publicly here and update my progress every month. Why? For a number of reasons. As a life coach, I want to show that I walk my talk, but also that I’m not perfect. No one is. Pursuing ambitious goals rarely goes smoothly but that’s part of the game. I want to inspire you to be more courageous with your goals and intentional with your time. I want to give you an idea and guidance of how you can set your own goals. Feel free to leave a comment or question at the end. 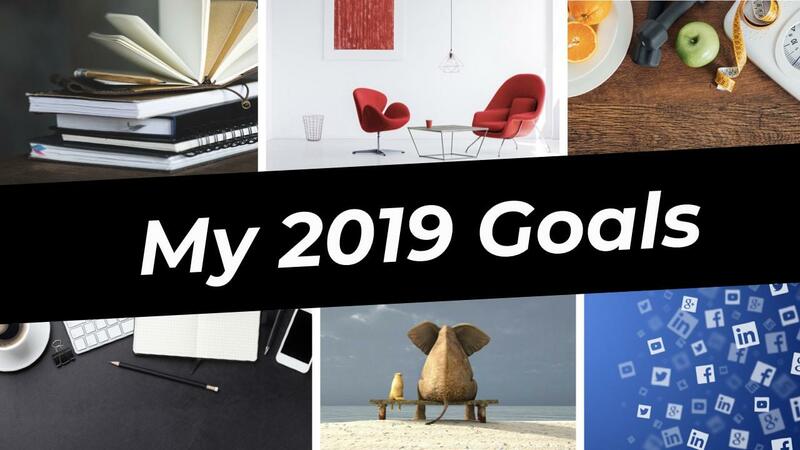 Watch my video where I walk​ you through my 2019 goals and share why I set them, what I want to accomplish through achieving them​ and what challenges I’m anticipating on the way. Why: It will help people benefit from the results even more as well as understand how to approach their personal development. Why: Hiring experts who can do a better job than me will save me a lot of time and money in the long run. Why: Having a healthy mailing list is an essential for most businesses. It’s a great way to say in touch with my followers, share my knowledge with them and keep them updated about my latest blogs and exciting news. Why: My website is an important marketing and brand tool so higher number of the right visitors will allow me to reach more people. Why: Improving my writing skills will help me communicate more effectively with my readers, be more engaging, captivating, and communicate more clearly. Why: It will allow me to create the right amount of clients. Why: I can only work with limited number of people at a time. I feel thrilled with the idea of making a massive positive difference to the lives of 40 people. Why: From experience, I know that a healthy volume is 500 sessions a year. Why: The details of this will be revealed later. However, it will involve one of my new clients regularly sharing their progress on a dedicated page to inspire others. Why: Reflecting is one of the best ways to improve. I want to be a better, more effective and skilled coach. Regular reflecting on my coaching sessions and finding ways to improve will accelerate my growth. Why: I want to continue growing my audience and reach on Instagram as it’s a great way to build my profile, share value and inspire others. Why: I want to continue growing my audience and reach on LinkedIn as it’s a great way to build my profile, share value and inspire others. Why: Youtube is a great platform to have a presence on as it’s the second most used search engine after Google. Since I’m completely new to Youtube I’ve set a moderate goal as there is a lot to learn, but it would be a great start and experience. Why: I love being interviewed and appear on podcasts. It’s a great way to share my knowledge and experience. I love it. I always feel like being on a radio. Why: For a business like mine, being featured in a reputable magazine is a great way to increase visibility and credibility. Why: Writing a book is a challenging process but extremely rewarding and insightful. 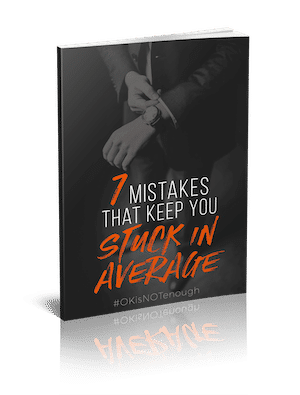 It will allow me to get the knowledge of mastering your life I’ve gained over the last 10 years out of my head into an accessible form and share it with the world. I’ve laid a good foundation last year so it should not be as hard. Why: I want to be a published author and see my own book on a shelf in a bookstore. It’s a great way to share my knowledge with others as well as a milestone in my personal accomplishments. Why: Speaking on stage is a thrilling experience. I used to dream about being able to do it. Now when I have the skills and confidence I want to do it on a regular basis. Why: Not only it’s a great way to share my knowledge with the world but it will also be a great challenge and growing experience. So far I have published only a handful of videos so going from a few to 52 will be a true dare! Why: I got into a good rhythm of writing articles which I got great feedback on and it generated a lot of traffic to my website so I want to maintain that. It’s very fulfilling to know that others are applying and benefiting from what I share. Why: Self-discipline is the foundation of any accomplishment. Over the 5 years I’ve been coaching it’s apparent that this is what most people struggle with. I want to create a more accessible group coaching program which will be focused on helping people develop unshakable self-discipline so more people can achieve their goals. Why: The second most common reason why people don’t follow their calling or are not true to their values is because of the fear of what others will think if they did. While totally unreasonable in most cases, it’s still paralysing to most people. Through my program, I want to help people be more emotionally strong and confident in themselves. Why: I believe that becoming an adult and pursue your passion and calling, explore the world, build exciting and fulfilling life is one of the greatest adventures we can embark on. So it’s a tragedy when someone is struck by such a terrible illness and doesn’t even get the chance to become an adult and do so. I’m fundraising for Children with Cancer as part of running the London Virgin Marathon in April 2019. The money raised will be used for research and to buy new equipment. If my contribution gives someone hope and helps recover faster then it was all worthwhile. Why: 23andME test provides incredible insight into my health, traits and ancestry which I want to learn. January: My DNA is being analysed now. Why: I want to know my body is intolerant to certain foods or food groups. Eliminating these from my diet will further improve my health and fitness. Why: Fasting is a great way to cleanse your body and lose weight. I had a great experience with it 2018. Why: Rather than aiming at a certain weight, this year I want to focus on body fat %. Being leaner is healthier, I believe I’ll feel and look better, and I’ll be a more efficient and faster runner. Why: Regular exercising will not only help me stay fit and healthy but as I have a goal to build a better physique, it will be necessary. Why: Running a marathon requires several months of preparation and lot of running and working out. My program consists of 76 runs of various durations and intensity. Why: Completing one of the biggest races in the world will be an experience I’ll remember for a long time. Completing a 42 km marathon will be a great physical accomplishment. If I complete it under 4 hours is be in the top 40% of all runners. Why: I want to see how far I can push my endurance running. Why: Running 5 km under 20 minutes would put me in the top 5% of non-professional runners. That would be a great accomplishment. Why: It would be a very satisfying physical accomplishment. I’ll need to get in great shape to be able to do so. Why: It’s a physical challenge I’d like to accomplish. Why: It’s a physical challenge I’d like to accomplish. It will help me strengthen my core. Why: I love my 1-on-1 kickboxing trainings. It’s a great way to let out steam and challenge yourself physically and mentally. Why: While I can swim well, I want to become a more proficient swimmer. Why: Meditation is like a mental spa for me. Even just 10 minutes a day recharges and re-energises my mind and often new and interesting ideas come to me during meditation. Why: Muse headband will help me deepen my understanding and effectiveness of my meditation practice as well as how my mind operates and what it responds to. Status: ✅ Absolutely love it! Why: Reading books has made an irreplaceable impact on my life, thinking, and success. With every book I read my mind becomes more open and I become richer with knowledge. Why: The more mindful I am the more content I feel. I want to deepen my understanding and practice of mindfulness. Why: I want to eliminate several useless habits I have as they are not adding value to my life and replace them with new habits that will have a positive impact on my wellbeing, productivity, and life in general. Why: Journaling is an invaluable way to gain clarity through reflection, contemplation, and planning. Check out my video about journaling: How to journal for personal development. Why: Regular reflecting and planning is an absolute necessity for effective progress. Moreover, it’s something I really enjoy. Why: I want to be continually expanding my mind with new ideas and findings from various fields. Why: I want to maintain a great relationship with my family as we all live at different places. Why: I want our relationship to keep its spark and excitement. Do you WANT new, bigger, better, more exciting goals in your life?